Jazz Carlin has today announced that she has hung up her cap and goggles for good, calling time on a hugely successful 14 year career. Having started swimming seriously at the age of 14, Carlin has enjoyed success at every level, winning world, European and Commonwealth medals before her crowning glory at the Rio 2016 Olympic Games, where she won double silver in the 400m and 800m Freestyle. 2014 was the start of a halcyon period for the Welsh swimmer, aided by a move to train at the National Centre Bath under the guidance of Dave McNulty. The fruits of her labour quickly started to become apparent, as at Glasgow 2014 she took her first Commonwealth Games gold medal, before adding two European titles to her burgeoning trophy cabinet. In fact that Commonwealth gold was the first time a Welshwoman had achieved the feat for 40 years. 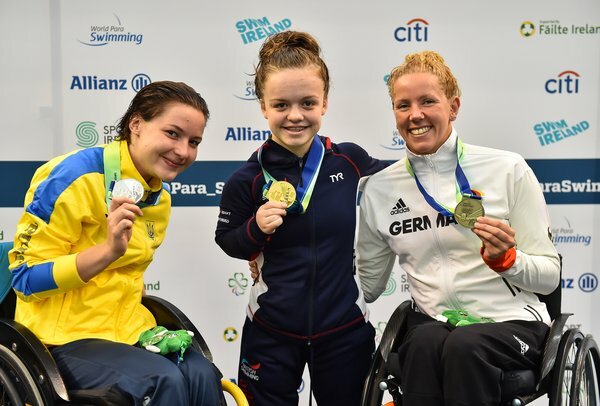 Bronze at world level over 800m the following year really showed the transition Carlin had made since joining McNulty’s regime, now a serious challenger for global titles, and paved the way for her crowning glory in the Brazilian capital the following summer. Prior to that she was crowned double European champion, before in Rio becoming the first Team GB representative to win two medals, as well as being the most successful female aquatics team member. Making the announcement at the Welsh National Pool in Swansea, where her swimming career began, Carlin announced that she’ll be working closely with Swim Wales in her life after competitive swimming, her new roles including mentoring the current Welsh youth squad and fronting the organisations Learn to Swim programme. Learn to Swim Wales is the national framework for learning to swim in Wales, aimed at supporting the national objective of making ‘every child a swimmer by the age of 11’ and enabling the population of Wales to be aquatically active. All in all, Jazz won 13 major international medals in six years, a remarkable medal haul by anyone’s standards. Last year she took her final British title, winning the 800m freestyle at the Royal Commonwealth Pool in Edinburgh, fitting given that the 2006 Commonwealth Games were her first major championships. 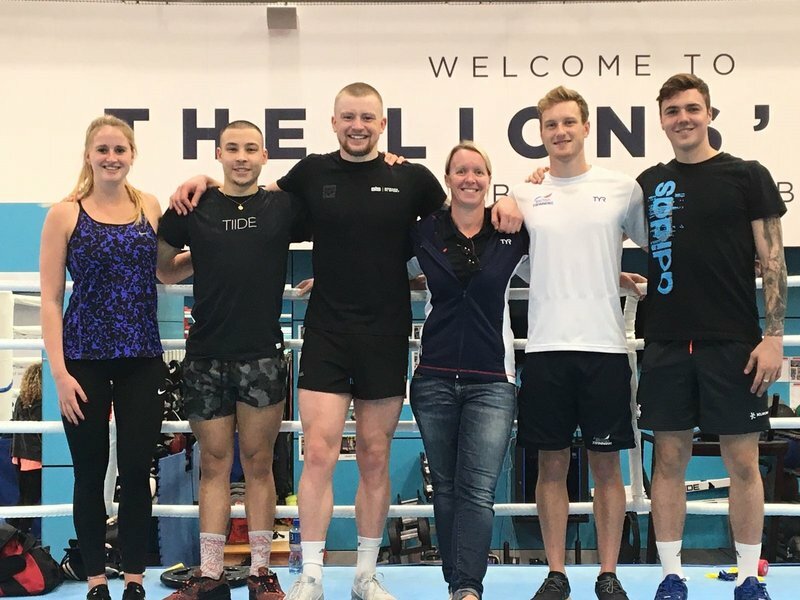 “Jazz moved to us at the British Swimming National Centre Bath in 2014, with a clear vision, mind-set and ambition to win Olympic medals at the Rio 2016 Games. Over the next two years, Jazz left no stone unturned in her dream of making it to the Olympic podium and made a huge ‘Olympic Shift’. This simply means, we did everything better, with more focus, and with an unrelenting drive for excellence in every area. “Jazz has had an amazing career and was a valued leader in our squads. 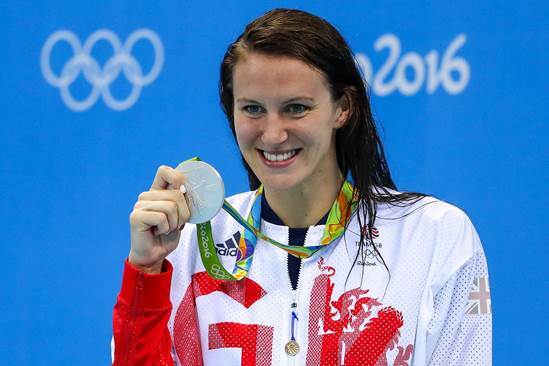 She moves on to the next chapter of her life as a double Olympic medallist, European and Commonwealth champion, which only a few British swimmers can claim. “The most significant of all Jazz’s strengths was her ability to bounce back after the injury disappointments going in to London 2012, to turn that into two outstanding silver medals four years later in Rio. Craig has been open about struggling with his mental health in the run up to the Rio Games, he faced anxiety, bipolar and depression whilst continuing to train and compete. “Ken Nesworthy was part of the journey since day one and almost became like a second dad to me, our work together culminated with the gold medal in London. 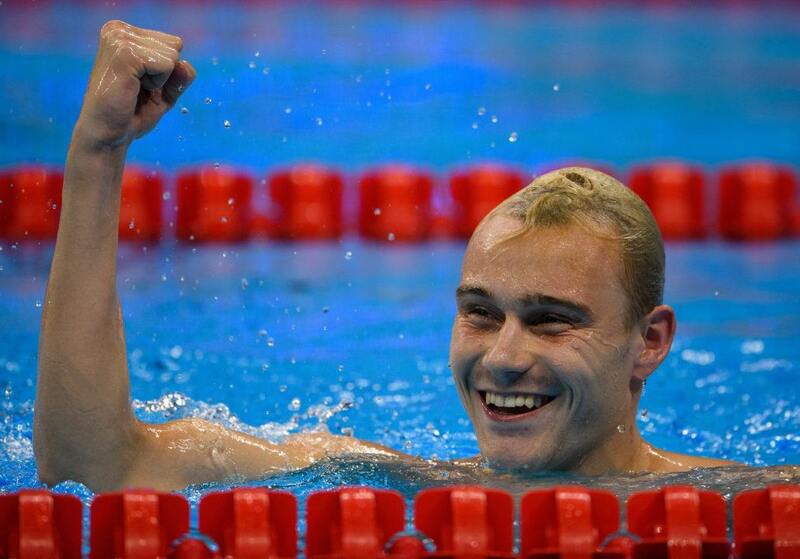 I saw him in the crowd in the aquatics centre and that was truly special. I started my career with Ken and I eventually finished it with him. “However for me the story behind his 100m Freestyle bronze at the Rio Games in 2016 is far more inspiring. It shows the resilience and determination of this outstanding talent. 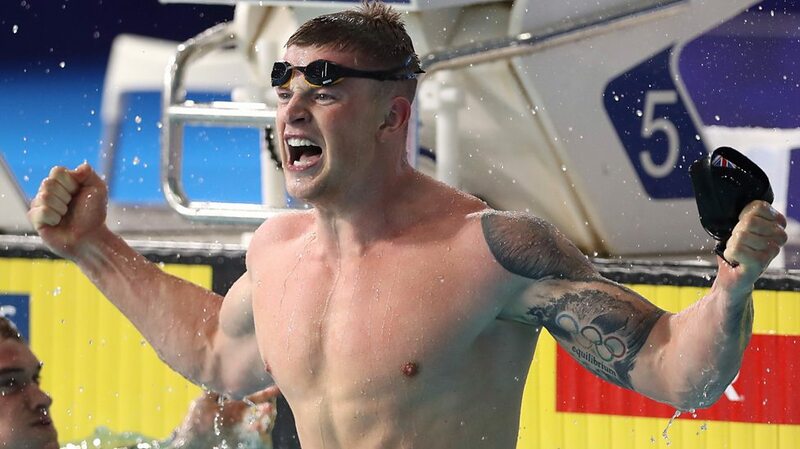 Britain’s final night in the pool at Glasgow 2018 saw the team pick up two gold, two silvers and three bronzes – and Adam Peaty become a three-time Adam Peaty, having won the 50m and 100m breaststroke and 4 x 100m mixed and men’s relays. The latter with Nick Pyle, James Guy and Duncan Scott. He said: “Britain is looking strong at the minute individually and in relays. “Sometimes I’ve got too caught up in the outcome with people talking about World Records as soon as I did the heats and asking if I was going to get the four gold medals. The women’s 4 x 100m medley, made up of Georgia Davies, Siobhan Marie O Connor, Alys Thomas and Freya Anderson went on to bronze success. The medal rush started with three medals in three races: a gold for Ben Proud in the 50m freestyle, a silver for Imogen Clark in the 50m breaststroke and a bronze for James Guy in the 100m butterfly. “The swim itself was a little disappointing, so I have mixed emotions. Imogen Clark, in her first British team, then took the silver behind Russia’s Yuliya Efimova. Max Litchfield then added to his bronze in the 200m IM with a silver in the 400m equivalent. He battled against David Verraszto stroke for stroke in the final length but couldn’t push past the Hungarian in the final few metres. Holly Hibbott was another multiple-medalist at Glasgow 2018, adding to her collection with a bronze in the 400m freestyle, with Ellie Faulkner coming in eighth. Britain’s Jack Laugher won his second European Championship title of 2018 after he took gold in the Men’s 3m Springboard event. Laugher progressed comfortably from the prelims ranked second and was the 11th athlete to take to the boards in the final but finished with a season’s best score of 525.95 for the gold medal. After collecting his medal Laugher said, “It’s a title that I’ve really wanted for a long time and I’ve not felt this emotional about a result in a long time. Jack served up some truly world-class diving, his inward in round three scored just shy of 92.00 points to jettison him up the leaderboard and into a commanding lead over the rest of field. Laugher was flanked on the podium by two Russian divers, Ilia Zakharov took the silver with 519.05 points and Evgenii Kuznetsov finished with bronze from 508.05 points. Jack’s teammate and fellow Brit Dan Goodfellow just missed out on a medal, he was ranked fourth after all six rounds of diving, his final score was 437.75. Click here to view the full results and scores from the Men’s 3m Springboard final. Adam Peaty took his third European title of Glasgow 2018 with victory in the 50m breaststroke, again breaking his own Championship Record. Peaty, already champion in the 100m breaststroke and 4x100m mixed medley, took the title comfortably, with Italy’s Fabio Scozzoli closest to the 11-time European gold medalist – looking to make it 12 unbeaten in the men’s medley relay on the final day of competition. He said: “It’s three out of three at the moment and hopefully that streak will continue tomorrow. 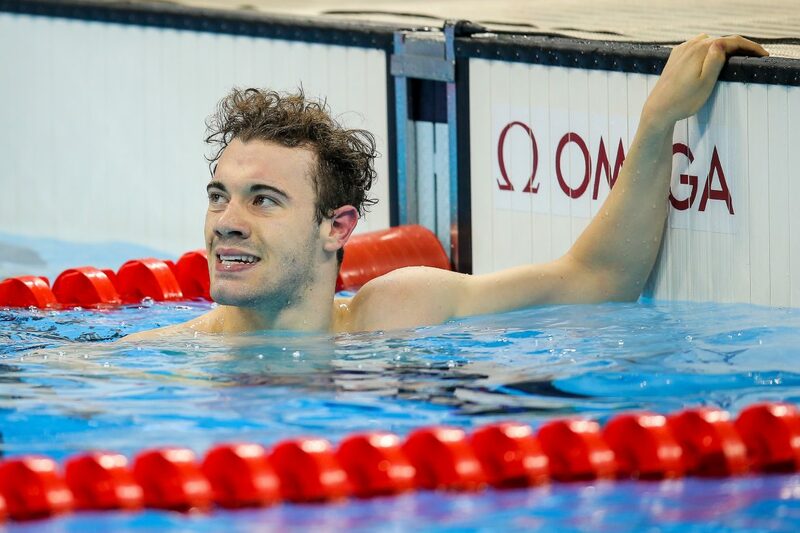 Ben Proud broke a Championship Record four years older than himself in the 50m freestyle, setting a new PB in the process of 21.11, and making him the third fastest man ever over the distance. Team mate Tom Fannon came 12th in the semis. Peaty’s was the only medal of the evening despite some close fought finals featuring the British swimmers. 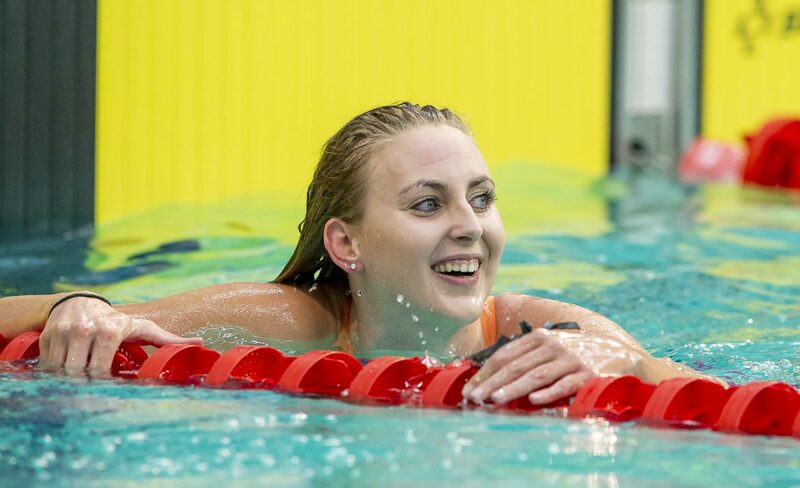 Siobhan-Marie O’Connor was touched out by Switzerland’s Maria Ugolkova in a final length of the 200m IM that saw Katinka Hosszu excel from fourth position to the gold medal. Aimee Wilmott finished seventh. 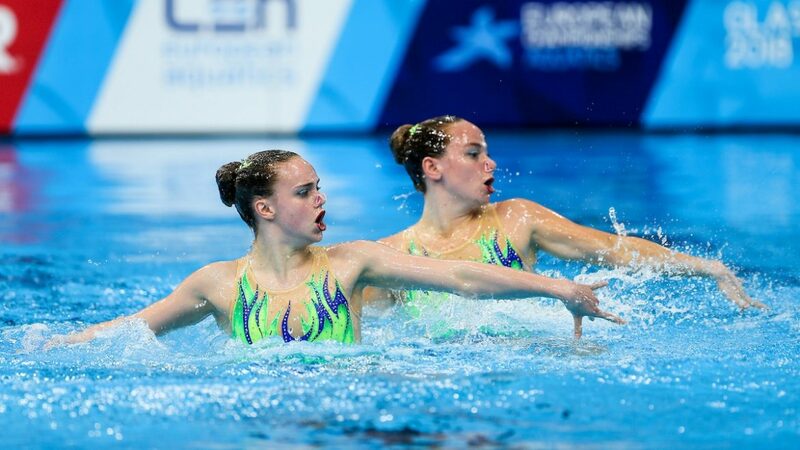 Freya Anderson, going for her fourth medal of Glasgow 2018 also finished fourth in the 100m freestyle, but despite missing a medal the 17-year-old did break her own European Junior Record in the process. Imogen Clark broke her own national record in qualifying for the 50m breaststroke final, with a time of 30.04 and said she hoped to become the first British woman under the 30 second barrier. She said: “I’m so excited for the final – it makes my belly tingle thinking about it, but in a good way. Sarah Vasey was ninth back, missing out on the final by one spot.